Top views from St. Mary’s Cemetery, Winona, Minn.
On April 29, I had the perfect excuse to visit the lovely Mississippi River town of Winona, Minn. I came into town for a “dinner with the author” event at The Book Shelf (I was the author!). 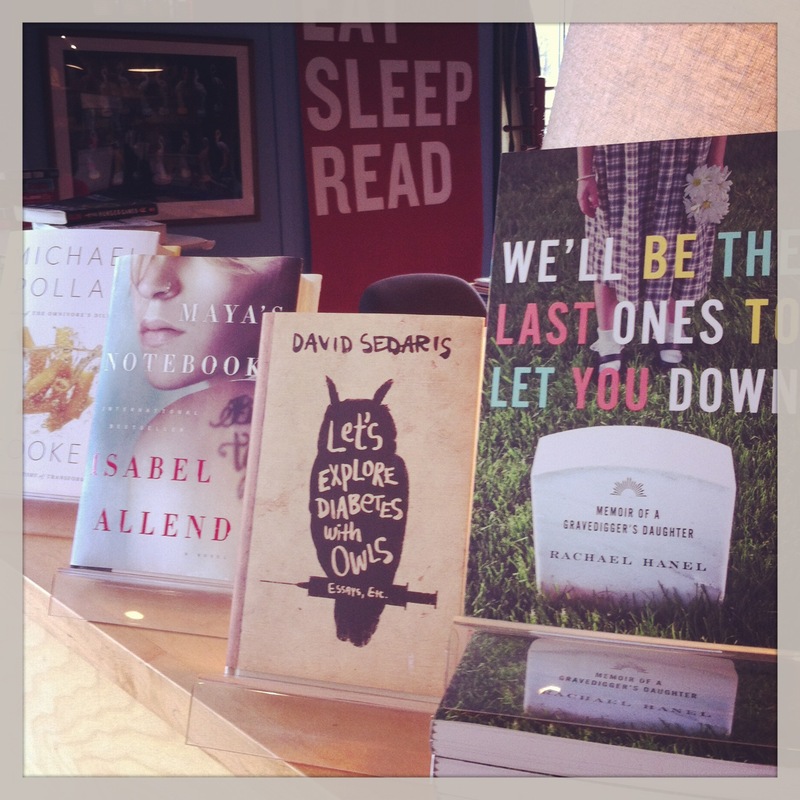 I like where they placed my book at The Book Shelf! So this is technically not a view from St. Mary’s Cemetery, sorry! (All photos by author). I had some extra time in the late afternoon, so I thought I’d visit a Winona cemetery. I decided to go to St. Mary’s first, even though Woodlawn is not far away. I guess I was drawn to the fact that St. Mary’s is a Catholic cemetery, and I wanted to see how this St. Mary’s would compare to the St. Mary’s I knew in Waseca County. A pretty day to visit a cemetery. St. Mary’s in Winona is kind of tucked into a hillside. Winona is a Mississippi River town, a couple of hours south of Minneapolis/St. Paul. I think I may have been to Winona only one other time in my life, about 20 years ago. It’s only two hours from where I live, so I wonder why I don’t go there more often. I have an affinity for river and lake towns. I grew up in a lake town. I now live in a lake town but spend a lot of time in Mankato, a Minnesota River town. St. Mary’s in Winona is quite hilly, which seems challenging to mow. Also, it’s on a bluff so I’m sure the digging is rather rocky. Check out the inscription under Harriet! This made me laugh. 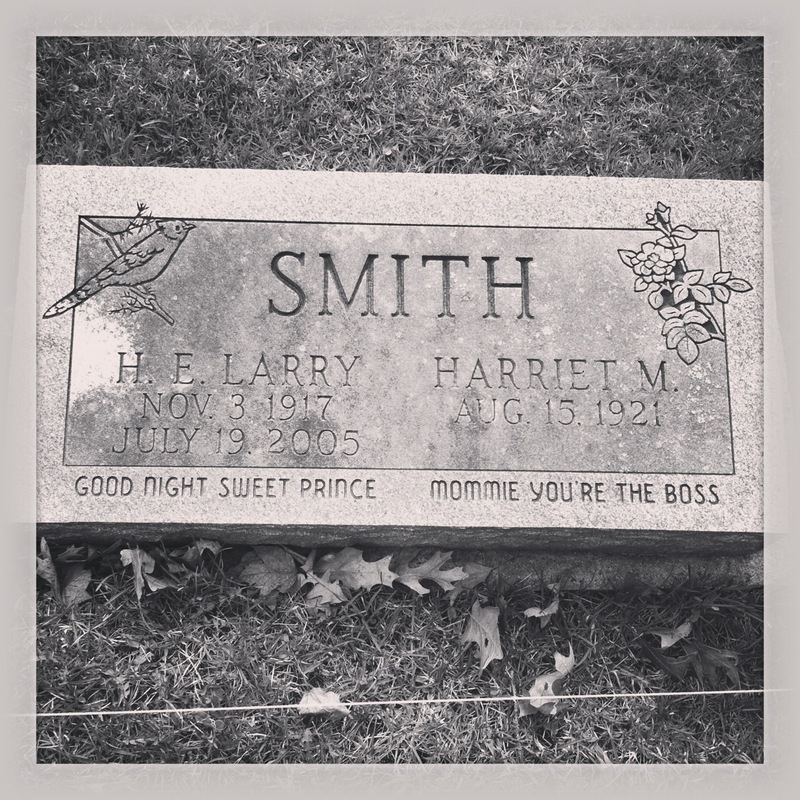 My dad wasn’t the only one who could find a little levity in cemeteries. I like the inscription for Harriet in the above photo, but I also wonder about H.E. Larry as a person. This is a great example of stories that can be inferred from cemeteries. Why “Good night, sweet prince?” Was Larry a Shakespeare fan? What does “H.E.” stand for? Why did he go by Larry? Winona is home to the diocese of Winona. A number of bishops, priests, and monsignors are buried at St. Mary’s. Have you ever noticed that priests and bishops have some of the largest monuments in a cemetery? Spare no expense, right? I did see a familiar name, Bishop Loras Watters. He was bishop of the Winona Diocese when I was a kid–St. Joseph’s in Waldorf, my church, was part of the Winona Diocese. 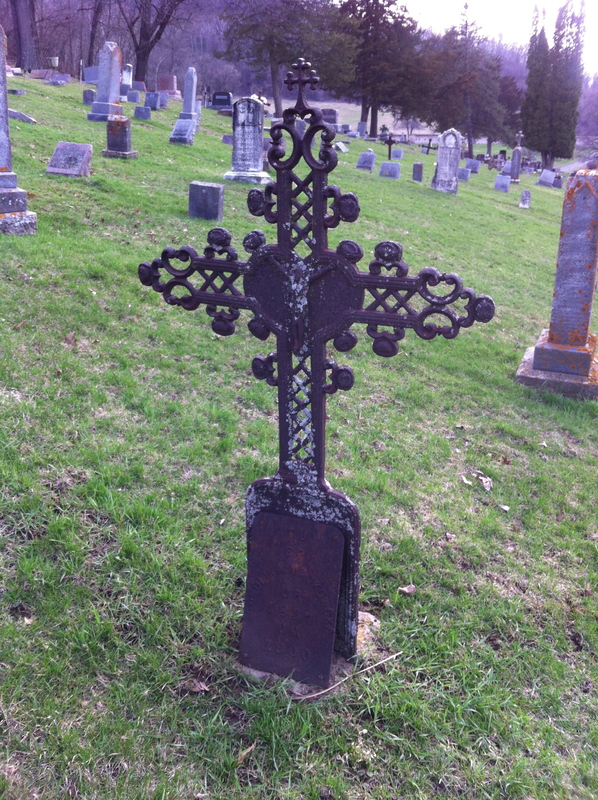 I didn’t see any iron crosses in Waseca area cemeteries when I was growing up. From what I understand, iron crosses are mostly a Czech thing. I don’t live too far from Montgomery, Minn., a major Czech settlement, but I haven’t been to a cemetery there to see if there are iron crosses. St. Mary’s in Winona had plenty–you can see a couple more in the background of the picture above. But the best I could tell, these were Polish graves. I suppose iron crosses did not adhere to strict borders, and maybe they are a broader Eastern European thing. If you know more, please comment! I was really struck by the number of Polish names in this cemetery. I’m so used to Catholic cemeteries being primarily Irish around Waseca. I learned more about Winona, that clearly it was a Polish settlement in the early days. 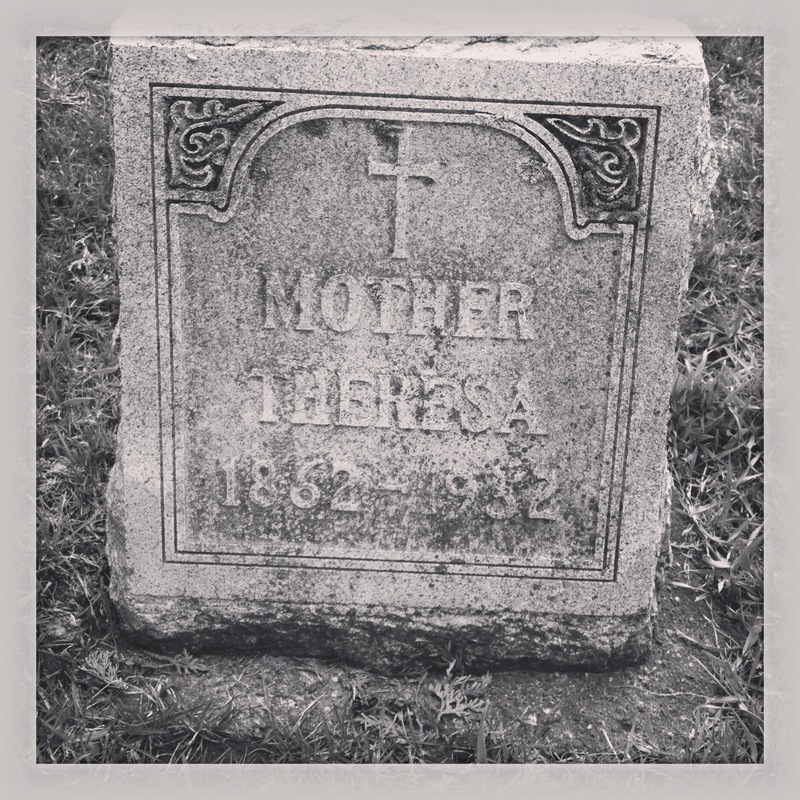 I never made it to Woodlawn, the other big cemetery in Winona, so enamoured was I was St. Mary’s. I saw a few people walking around St. Mary’s, which always makes me happy. The landscape guys were also there, a sure sign of spring! Memorial Day is just over four weeks away, so the rush is on to get cemeteries in shape by that big day. OK, the deal on the iron crosses. From what Mom said it was a Polish thing, and those who could not afford headstones went the iron route. 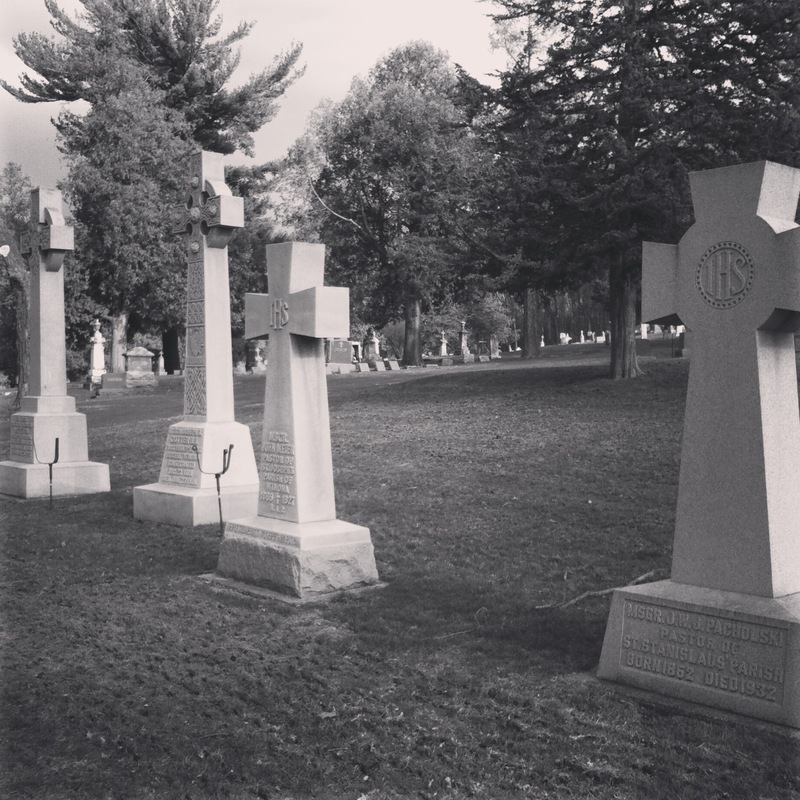 I have a couple of picts and stories to share with you about our family plot in the same cemetery – soon to come. Fantastic info! If you want to write up a little something, like 500 words, I’d love to have a guest post from you! 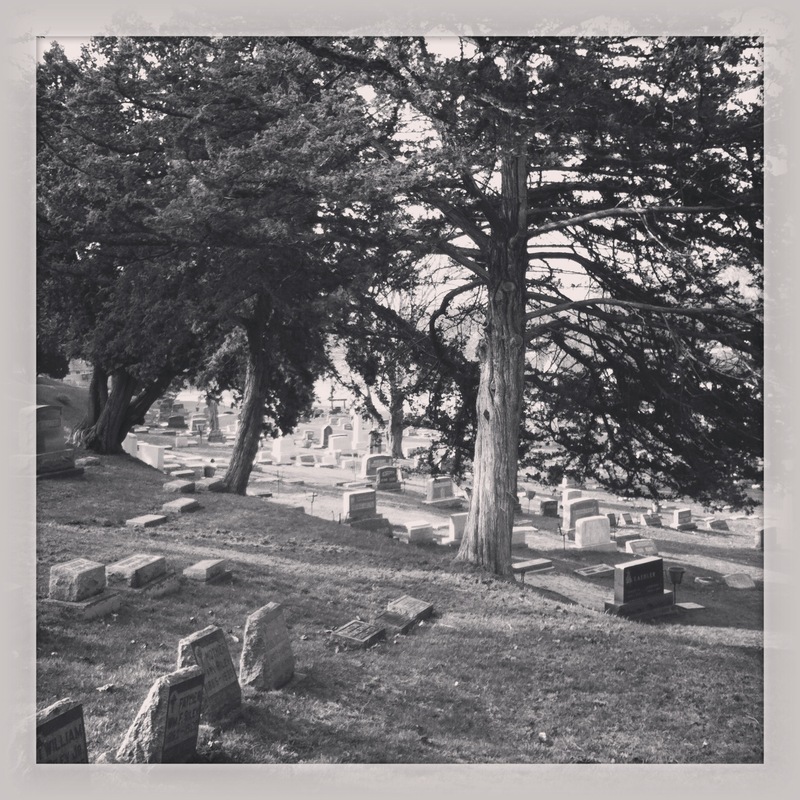 I’m going to post another guest post soon; I hope to start a little series of reader posts on cemeteries.